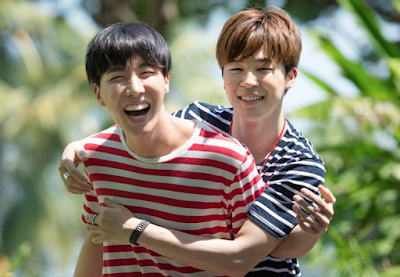 BTS's Jimin And J-Hope Appearing on New Variety Show, "God’s Workplace"
BTS's Jimin And J-Hope will both appear in the pilot episode of SBS' new variety show, "God's Workplace" (working title). The show's motto is that of "we will sell you anything and everything", with the catch being the products not appealing to the general public. The celebrities will transform into office workers and the products will be revived and produced, suiting themselves only. These products will be sold via a home shopping channel called. The variety show will balance between fiction and reality, especially since the roles will be assigned between six workers and the actual products will be sold (or attempted to be sold). The fixed cast members are Shin Hyun Joon, Kim Kwang Kyu, Lee Soo Geun, Kim Jong Min, Yook Joong Wan, and John Park. Jimin and J-hope will appear during the pilot as interns. They will be portraying two different characters, one being a person who gets a job through contacts - not actual work experience or skills. The other is a person who is unable to get promoted year after year. "God's Workplace" begins airing on August 1st.